Paul and Milt came fishing with us again and another great day on Lake O. These guys came last year and caught between 30 and 40 bass this year they both caught their personal best! Both fish are over 6 1/2 lbs and we caught several other nice fish as well. These guys come down here each year to escape the cold from up north and this year who can blame them? With all the cold weather we have had up north this year it is perfect time to come down and fish with us! 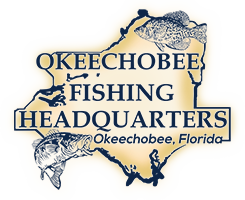 Come on down and catch your Personal Best bass with Okeechobee Bass Fishing. 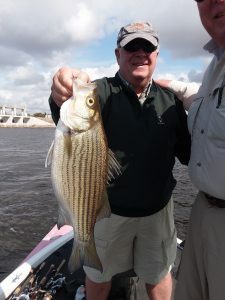 We also caught another nice size striper as well. 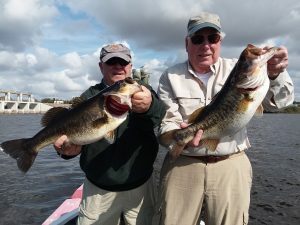 The post Lake Okeechobee Bass Fishing- Okeechobee Fishing Report 2/1/19 appeared first on Lake Okeechobee Bass Fishing at it's BEST! Top Fishing Guides.